The Valley of Decision Book Review and Giveaway! Home→Books→The Valley of Decision Book Review and Giveaway! Today I have a great fantasy book to share with you, The Valley of Decision by Shannon McDermott. I’m not usually a huge fan of fantasy, but I found myself intrigued when Kirkus Reviews commented that it wore its spirituality lightly, and that was enough to convince me to sign up to be a part of the book tour. I’m glad I did! A themed book tour through Prism Book Tours. 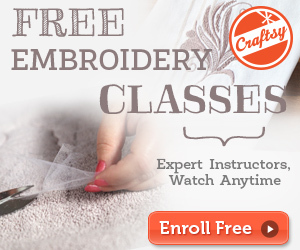 This post contains affiliate links to Amazon. This book felt a lot like a Tolkien book to me, although I have to admit to enjoying it more than I enjoy Tolkien. (Sorry, just not a huge fantasy fan!) I found the start of this book quite slow, and I wondered if I had made a mistake, but by the time I was about a third of the way into it, I had developed some attachments to the characters and was having a hard time putting it down. The characters were definitely my favorite part of the book. I really enjoyed coming to understand the complexities of the three main characters, who interestingly are all male. I also really enjoyed the unfolding mystery of who the Fay are and why they are a part of this world. Female characters are few and far between in this book, and none of them play much of a role in the story. There is a lot of adventure and fighting for freedom, but I didn’t find the violence overwhelming in any way. This book is classified as adult fantasy which made me wonder if it would be really violent or in some way inappropriate for younger readers. I found nothing that would keep me from passing it on to anyone who had enjoyed Tolkien’s books. All the characters are adults but it has strong themes of loyalty, bravery, and doing what is right that I think many teenaged boys would enjoy. All in all, I give this book 4 out of 5 stars. Where the Black Mountains pierce the sky, they divide the south from the north, Alamir from the kingdom of Belenus. Belenus, the undying master of the north, commanded Keiran, the Captain of the Hosts, to conquer Alamir. But the Captain is deep in conspiracy, and he has his own plans. 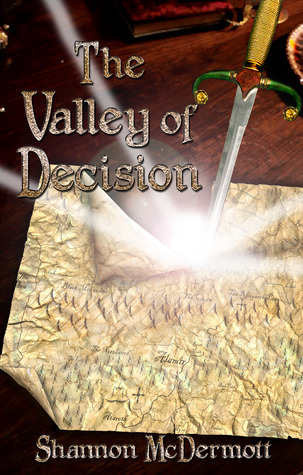 The Valley of Decision is a fantasy novel, a saga of slavery, freedom, and choices. 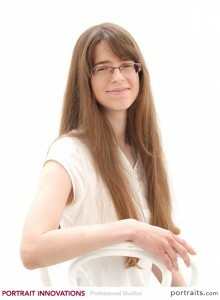 Shannon McDermott is a Christian author of speculative fiction, as well as a humorous detective series of short stories called “The Adventures of Christian Holmes.” She has written both fantasy and science fiction, and has yet to decide on which one to like better. She was born to Wisconsin, expatriates in California, grew up on the East Coast, and now lives in the Midwest. Her principal hobbies are politics, history, novels, and coffee. Even though I’m not a huge fantasy fan, if I could go into any fantasy books, it would have to be The Chronicles of Narnia! I would want to meet Aslan! How about you? The “adult” label was to distinguish it from YA; it’s a library designation more than anything else, though I understand how it could be misleading. Thanks for taking a chance on the book and for reviewing it. Would you consider sharing your review on Amazon? Either way, thanks.